How do I fix MikuMikuDance missing DLL error? Fix the MMD side-by-side configuration error. How can I get MMD to run on my computer? the standard MMD error messages. We worked together to fix MikuMikuDance so that it was running on her new computer. She first asked me about the infamous MMD Side-by-Side Configuration error. Experience has shown that you must download and install the Microsoft C++ 2008 redistributable. There are a couple of ways around this error … the most simple is to Download the DirectX 9c update available from our LearnMMD Downloads page. I hope YOUR MikuMikuDance goes this smoothly! 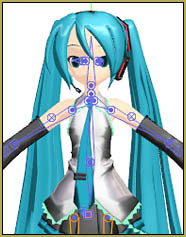 Next step is to go to our Getting Started with MMD Step-by-Step page and start enjoying your MikuMikuDance! I’m troubled since I can’t get it to work. The only version which works is the 5.24 which doesn’t load pmx files. Can you guys rework in order to be fully usable for windows10? LearnMMD.com is not the creator of MikuMikuDance… we can make no changes to it. … And why are you running MMD 5.24? That’s “ancient”… 2010’s MMD 7.39 was the first “modern” DirectX version… and today’s MMD 9.31 (or MMD 9.31×64) is the latest version. Did you download the latest version of DirectX (useful in many regards, but *not* for MMD), or the 9.0c version that MMD requires? Did you just “download” it or install it as per instructions? You have to physically download the dll file. Just look it up and you should find it on github. Then drag it into the MMD folder. You might TRY that approach (downloading the specific file), but missing only one means you are probably missing others in the set… the complete set you get when you run that DirectX 9c Runtime. … Strongly suggest you run that runtime. Awesome! … Thanks for letting us know it worked for you! The last time I tried to fix this error, DirectX permanently bricked my sister’s computer. Is there a way to fix the missing dll error without installing destructive malware onto my computer? The DirectX is Microsoft’s own product, not some “destructive malware”. *IF* you did everything properly (of which I have no evidence other than your words, mind you), and it still failed you, then your case must be one out of a million. If you try to “fix” the error with some other way, you’ll brick your computer in one out of three. Optimistically saying. I’m pretty sure I downloaded from the links provided on this very site, but then, my memory for that is kind of hazy (it was a while ago) so I could be wrong. I’m still slightly nervous about downloading, though. UPDATE: Okay, so with my uncle’s help I discovered that I already have DirectX and so I tried downloading the newest version of MMD instead. Unfortunately, the side-by-side configuration thing is still an issue. I tried downloading both the things necessary, but one of them didn’t work and the other was blocked because it was an older version. Is it possible that MMD is just not compatible with my new laptop? 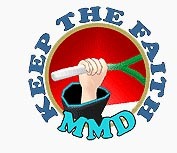 MMD is an “older” program. It needs for you to install that older version of DirectX 9c… when you try to run that DirectX Runtime, your computer will tell you that you already have a newer version installed… but go ahead and install that older version; it has older DLL files that MMD needs (doing so will not hurt your newer versions). That DirectX Runtime and the two C++ Redistributables are updates of older software and are MEANT to be added to your existing, modern system. Yes, you have newer C++ on your system, but MMD needs what’s in those older versions and adding those C++ redistributables won’t hurt your system. … that “side-by-side configuration” error will be solved when you add the proper C++. One: there are two ways to install DirectX. One is to launch a small installer program that scans your computer and downloads those components you miss. This method is favored by Microsoft, but it won’t install *older* files that MMD requires. Another is to download a full offline installer (the one our Downloads page refers to) – this one will install itself without questioning your choice. Two: you *do* need C++ Redistributables of exactly those years and bit size specified for your version of MMD. If they fail to install, though, you can try to search Microsoft Downloads site for same versions with “SP1” tag and try them instead. Use screenshots to the article to verify whether or not you have installed successfully what you need to have.